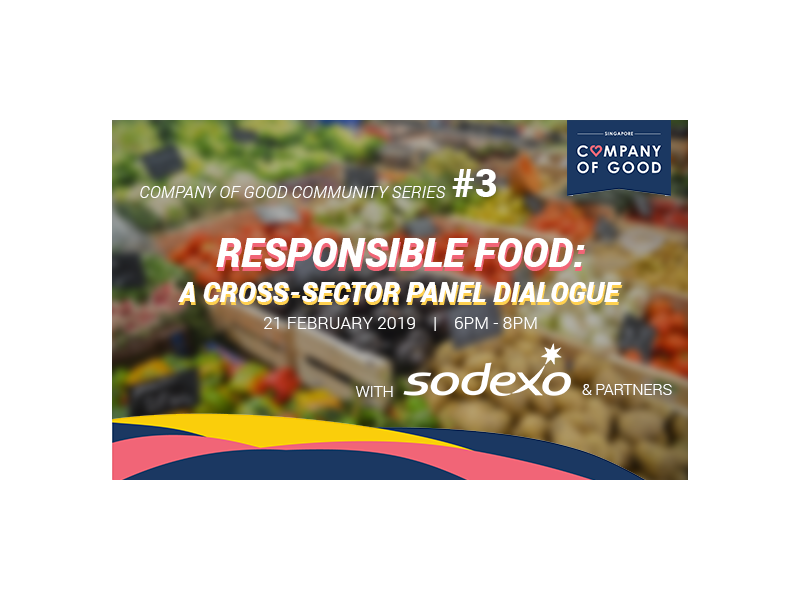 Food and facilities management services company Sodexo hosted our 3rd Community Series, featuring an exciting panel from academia, private, public and social sectors. The company delivers a wide spectrum of services, from managing kitchen operations to keeping facilities running in tip-top condition and everything in between – truly providing Quality of Life services, as their tagline sums up. 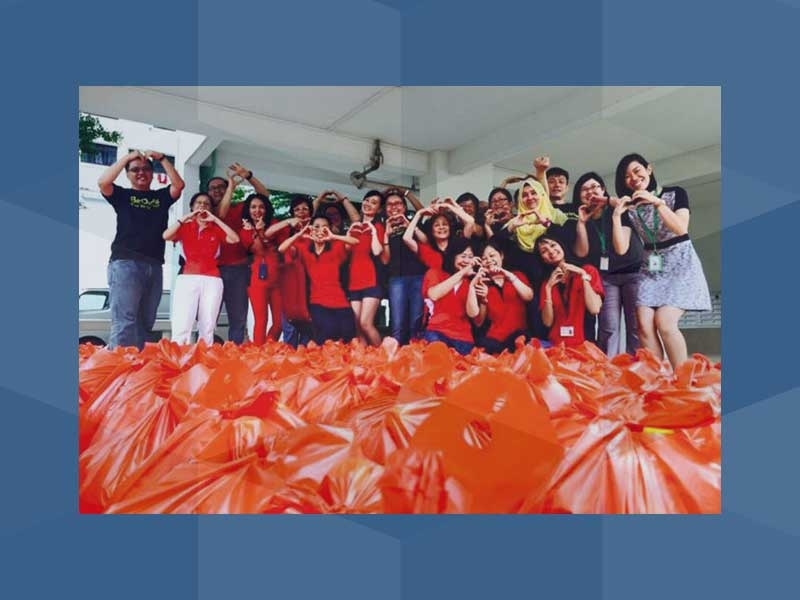 Corporate giving is more effective and efficient when done together, as Sodexo has exemplified. The company has participated in or led coalitions and groups of organisations to tackle different aspects of responsible food, from ensuring food security in local communities, to pushing for a reduction in food waste. For example, Sodexo has teamed up with the likes of Google, Hilton and Unilever in the Better Buying Lab, an initiative that helps study, test and scale behavioural “nudges” that help consumers choose sustainable foods easily – such as testing different naming conventions of meat-free products, so consumers are more likely to go meat-free. Companies in the food industry provide the platforms for testing hypotheses, while others contribute their expertise in consumer research and behavioural economics. These networks of support allow Sodexo to tap on others’ expertise for their own initiatives, enabling them to drive their own sustainability efforts with greater scale and depth – supporting over 140 food-related causes and being recognised as an industry leader in sustainability by the Dow Jones Sustainability Index. 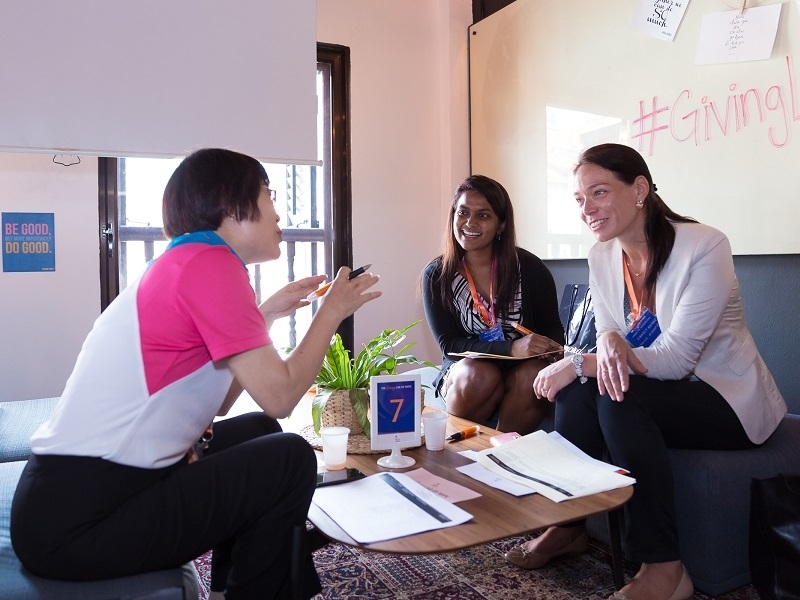 Raising awareness for a cause sounds simple enough but creating tangible and measurable outcomes from such exercises are difficult, as many organisations may discover. For example, in the struggle to reduce meat consumption (a key contributor to climate change), one panellist pointed out that in Asia, meat is seen as a symbol of wealth and will not be swapped out by consumers, especially for significant events like weddings. In another example, a company calculated and displayed the weight of meals wasted every day to remind employees to reduce their food waste – to no visible outcome. Reducing the plate and portion sizes at restaurants drew complaints from customers who felt short-changed when they pay the same prices for less, even if they are unable to finish the original portion served. While businesses work towards responsible food with good intentions, we must ensure that these good intentions are effectively communicated. This demands a strong understanding of the target audience you are aiming to communicate to, which businesses can act on through repeated testing and communicating to the audience to drill in the key messages, while finding out what resonates best for the audience. Whether it is your employees or the public at large, every audience reacts to the same initiatives differently – it is up to the business to find out which ones work best. Waste is generated not just by consumers, but at every stage of the food cycle, from the disposal of “ugly fruits” by suppliers to the over-ordering of consumers. Everyone is accountable and responsible for protecting Earth’s finite resources. Is it on the onus of consumers to remain educated about their personal carbon footprint, or on the government to impose taxes or implement public campaigns about it? Are the businesses at fault for overproduction to begin with? Across the panel, each of them shared on how they do what they can, with whatever they have. Some of the things they do include screening advocacy films to spread the message more impactfully, giving talks wherever possible on what individuals can do to protect the environment, and even having a sustainable menu option that businesses can choose when hosting events. There are no easy answers, but one panellist summed it up, “We can discuss who should handle it and we can measure food waste on a weighing scale, but the best weighing scale is the human conscience.” Getting consumers to value the food on their plates will be an uphill challenge, but will be an increasingly important one that organisations need to tackle collectively. Watch the video presentations here. You may also download a copy of these insights below.